Trains are the primary means of transportation. 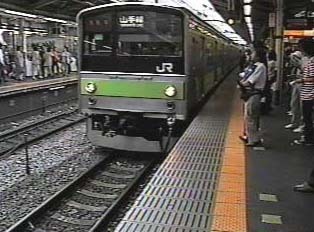 Clean, fast, and punctual, they travel to nearly all destinations in Japan, particularly within the major cities. Before entering the platform, tickets must be purchased at ticket vending machines at the station. One enters a station by feeding the ticket into a ticket reader at the entrance checkpoint. Posted at the stations are clear, concise route maps as well as fare charts that are generally in both Japanese and English. As well, there is always an official at the station entrance available to answer questions and give travel information.